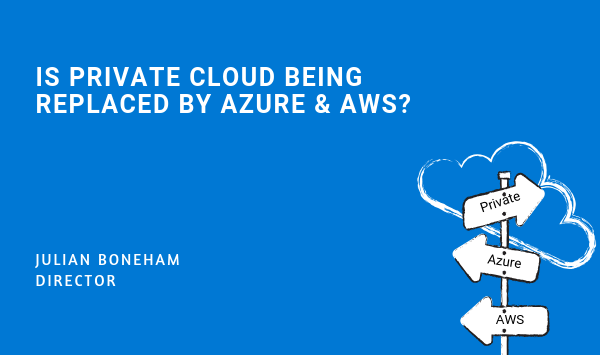 Is Private Cloud Being Replaced By Azure & Amazon Web Services? I work for a Managed Services Provider (MSP). We own a UK-centric network, multiple datacentres and have many teams of highly skilled technical staff who manage customer systems which are hosted on our infrastructure. We have over 1000 customers and it’s apparent that a lot of them are talking about Azure and AWS as potential future platforms. So, should we be worried? Will we, as an MSP, be out of business in the near future? The reality for customers that have been around for a few years is that they have many systems and applications that need ongoing feeding and watering to keep them healthy. Azure and AWS will quite rightly be seen as some form of utopia for future hosting as the level of engineering and development in these platforms is phenomenal. In practice though we are finding that varying degrees of systems and service transformation needs to occur to enable an effective move to a world of self-healing, autonomous platforming. A survey conducted by LogicMonitor on the future of cloud found that 41% of workloads will run on public cloud in 2020, with 20% sticking to private cloud, 22% opting for hybrid cloud and 27% preferring to keep their workloads on-premise. So, the pace of systems moving to public clouds is undoubtedly picking up but the need to knit together systems across multiple platforms will mean the need for highly skilled MSPs is more important than ever. What technical expertise is needed? It’s an overused term but businesses with established systems have ‘technical debt’ which needs deep technical expertise to ensure the application workloads will operate effectively on a new platform. This brings together a wide range of expertise including networking, infrastructure, data and security. If we consider the data migration in isolation, the ramifications of getting the database architecture wrong, or the cut-over of data out of sync, the business impact will be enormous. What value do MSPs bring to the public cloud? Public cloud management is where MSPs will continue to add value as the majority of mid-market enterprises are currently operating, or moving towards, a hybrid cloud model. There are some business-specific applications which will continue to work optimally within a tightly controlled managed environment, and there are other systems where moving the workload to the public cloud is absolutely the right decision. The CIOs/CTOs of businesses that are starting to look to Azure and AWS for application workloads need to have the confidence that their chosen IT Managed Services Partner is equally comfortable in managing the systems whether they’re on-premise, within a managed datacentre, or on public cloud. As many customers are operating within a hybrid model, the need for uniformity of services is essential. In summary, our strategy as an MSP is all about embracing the opportunity with Azure and AWS. These platforms are advancing rapidly and we are seeing more and more customer adoption. As a result, our service model has evolved to support these environments. Whilst the public cloud will ultimately enable enterprises to automate a lot of services, the mix of applications and workloads running across the business will need deep technical expertise to keep things optimised and working on an interoperable basis. As such, wherever the system is hosted, the service wrap will be of increasing importance as customers progress their journeys to multiple cloud platforms. 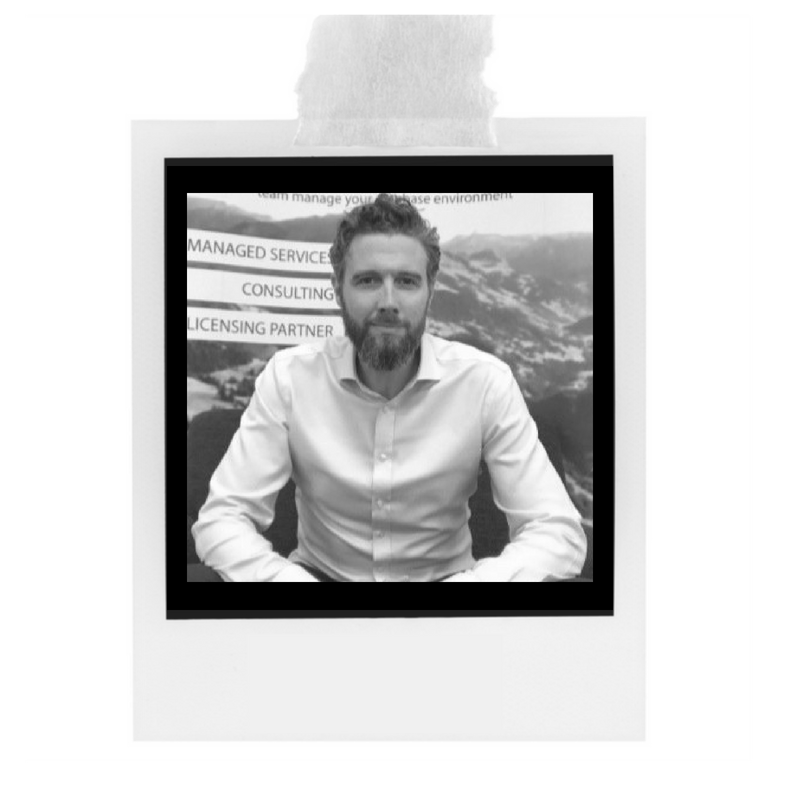 Julian brings over 20 years of experience having started his career in the UK’s Oracle distribution channel in 1997. He co-founded Onomi in 2015 and, following Onomi's acquisition by Node4 in 2017, he co-founded N4Stack. He's working hard towards taking over the Database Managed Services world and we think he's doing a pretty good job! Get to know Julian better here.